I’m quite a culture-junkie. And for me travel has always been about understanding a place through the lens of stories of the people living there. 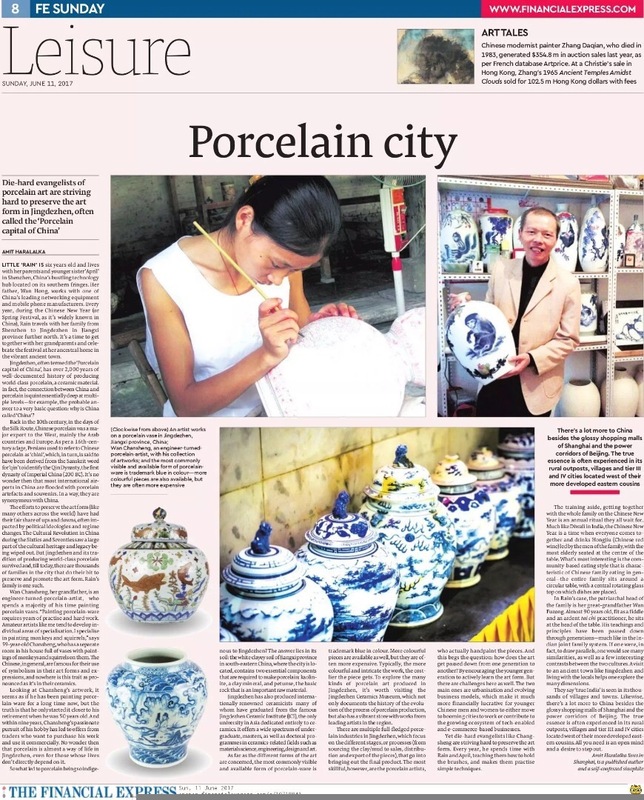 One of my most memorable trips ever made was a trip to Jingdezhen, an ancient Chinese city and the home of Porcelain. My wife and I spent time with a Chinese family, experiencing the traditions of Chinese New Year, steeped in tradition, and also understanding the rituals and nuances of China’s biggest annual festival. I initially photo-blogged about it on Facebook, and then looking at the response decided to write an article about it for a newspaper. Was pretty bummed when Financial Express decided to carry it in its Sunday Edition (Lifestyle section). It is almost a full-page coverage, in addition to a header mast mention right on top of the front page. Previous Previous post: TalkingTails, Retail Customer Engagement and other stuff!